Would be interesting to see if the NT gov would get one up here to Darwin for our dry season. Surely that would be better then leaving them sitting around down south most of the winter? Interesting that our fire fighting air services have better craft than our army air services, the MRH-90 are still not fully certified. Must be embarrassing they had to resort to bringing the Blackhawks that are based at Holsworthy to fill in for the under performing MRH-90 in the recent Talisman sabre exercise. A total refurbishment to the latest Blackhawk standard is available to the Australian Army but at this time the Army is sticking with the MRH-90s and the Blackhawks will be retired, probably returned to the States be put through that refurbishment and sold on to a 3rd party. 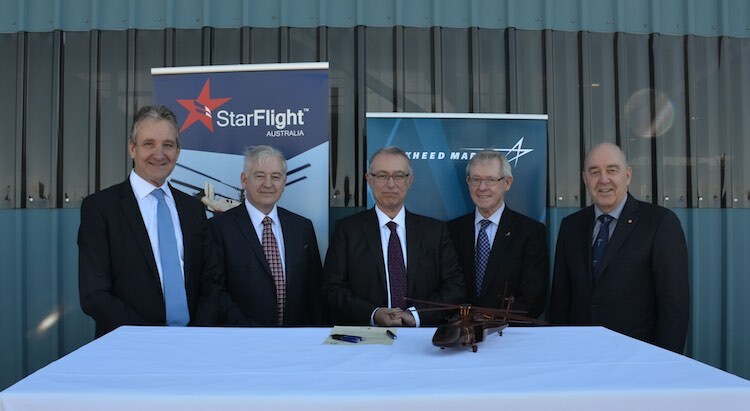 I think you will find that a commercial venture like this will be much quicker, cheaper and logistically easier to get up and running than purchasing and commission an aircraft for a defence purpose. A defence aircraft has to do more than just sling a water bucket. 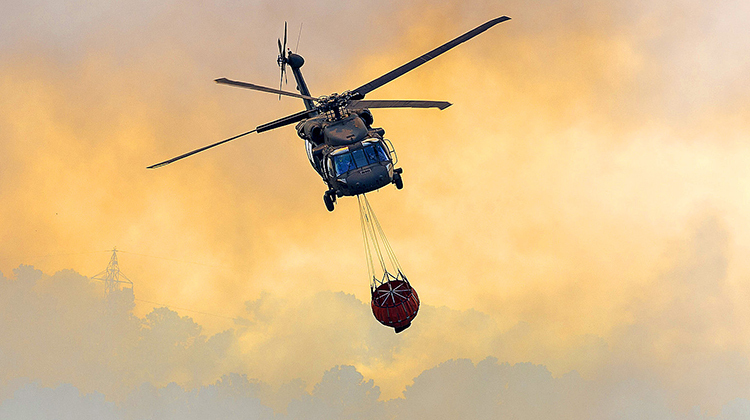 These Black Hawks are basically a V8 version of a UH60 whos primary purpose will be to sling one big water bucket. All these guys need to do is run the aircraft through a refurb program, get some pilots and crew, there will be plenty of ex ADF types in Australia, a place to operate from and they are ready. 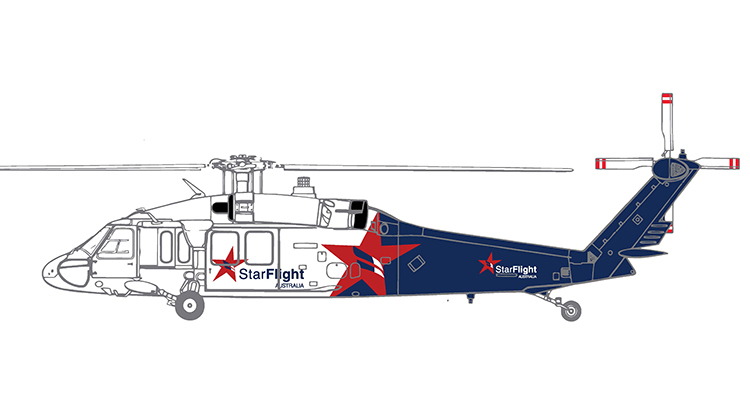 Smart business model using refurbished Black Hawks and getting Sikorsky involved. Also, an additional benefit of choosing the Blackhawk is that there’ll be no shortage of spare parts or qualified/trained personnel about the place – both here and overseas. George, where are the photos of Australian Army Blackhawks at Talisman Sabre 2017? I have not seen any. Dave f you can find photos of them at Central Queensland plane spotters facebook, from memory they sent 6 Blackhawks, parked at the Rockhampton airport. One of their big tests had been a night-flying mission. As he was talking, four Taipans took off simultaneously with two US Apache attack helicopters to collect blue force troops in the field and insert them closer to their final objective. Nosey – aging ADF helicopters? Seems like a big investment with no contracts? ?something fishy going on here!! There is already too many helicopters in this game! Good luck. The ADF Black Hawks were there to support Special Operations training. The MRH were there to support Airmobile operations. The US Army also sent some UH 6Os. Different mission for the AS Black Hawks. The MRH is certified and deployable. They’re in PNG now. Wonder how it’ll be VH registered… You can’t be a LAME on this type of aircraft without doing a CASA-approved type course, and the ADF ones don’t count. You’ll have to have an FAA licence – surely it’ll stay N-registered, and just run by Americans. As to why we can’t sell the ADF ones into a similar role, the Americans say we can’t because of ITAR. We’d have to sell ours back to an American company with ITAR exemption, and then pay them to operate them here for us. It’s like ITunes with US military hardware – we “pay” to purchase these helicopters, but we don’t actually have the right to use / sell / dispose of them how we like. They mention Restricted category… this puts big restrictions on the ability to transfer passengers, even firefighters and emergency service personnel. Not sure about members of the public. On the plus side, it would be an absolute weapon on the Australian fire scene, like a B212 but with more grunt. Great safety aspects. Rescue hoist would be great. But firefighting is already a very contested industry, and I’m not sure if they have paired up with an existing fire fighting contractor. I see they’re replacing the engines and upgrading the avionics….but what about the life of the air frames? I’m just assuming that their U.S. Army would service would have entail a good bit of wear and tear. Remember how before R.A.N. service the U.S.S. Saginaw and Fairfax County usually had their bows rammed aground during beach landing in U.S. Navy service.